Do you have the Black Friday blues now that all the specials are over? We have you covered! 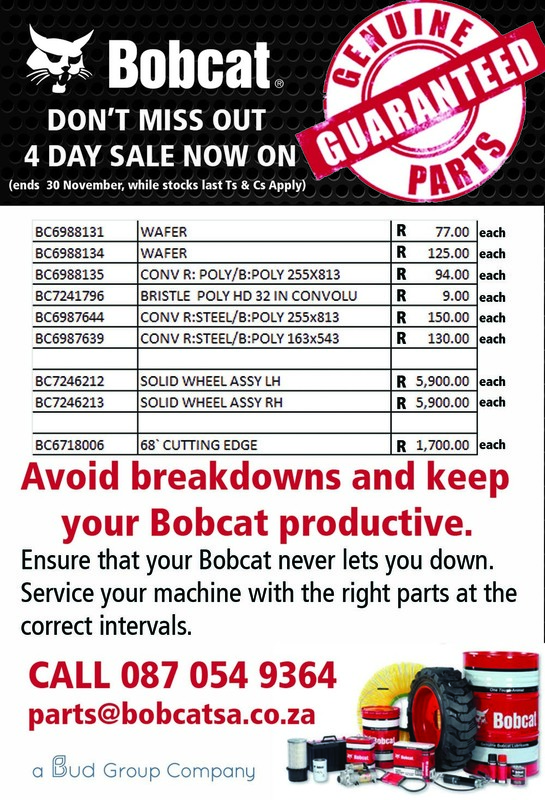 Our Four Day Sale is now on, ending 30 Nov. Get major discounts on guaranteed Bobcat parts so you can avoid breakdowns and increase productivity. Remember to service your machines at the specified intervals, using genuine parts only.